It's the global equivalent of the Big Lie formula, the Big Theft. 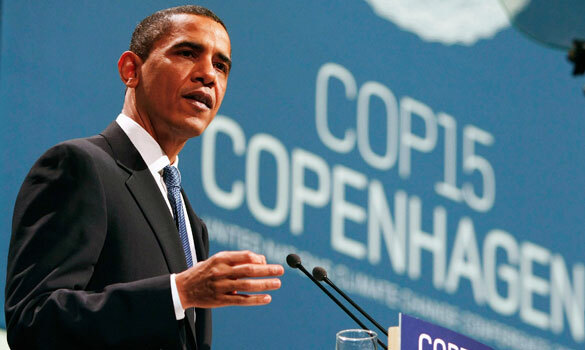 Obama and the Climate Mafia. Superb. About to be linked at mine. Very well said, indeed! Readers should forward this commentary to their US senators and representatives. Too many are trying to be oh-so politically correct on climate/energy/environmental actions. Caruba knows exactly what we need: congressional hearings to expose the whole scam. As a scientist, I was appalled when I read the climategate e-mails. They show a definite intent to defraud as well as conspiracy to commit criminal acts (FOI-related at least). Al Gore has been working on the Carbon Cheat since the early 90's. Obama is part of the gang with the CCX and is just playing the game like he is told. Same for the banksters and their bailouts. Time for some REAL change, I would say.